I want to let you all know that I have decided to open my shop for business here in Mount Carmel, PA for repairs, Modifications, and restoration of Datsun/Nissan Z cars. Yes you heard that right, We have started a YouTube channel and have been posting videos on a fairly regular basis. 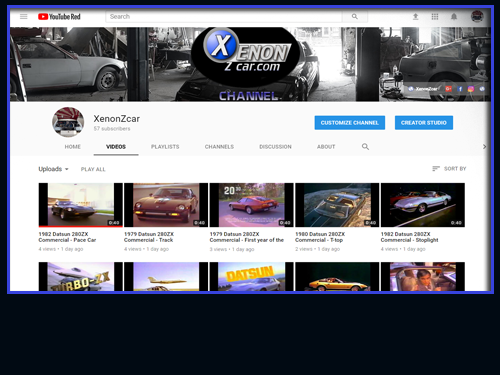 Videos include Build updates, Event coverage, and other random things that go on here at XenonZcar. ** UPDATE*** Sadly we did not get enough interest in this and the Group Buy has been canclled and all payments have been refunded. XenonZcar.com and Zspec has teamed up for a group buy to kick off a new product for the Z31 300zx owners. This is a enthusiast-driven Group-Buy Event for the reproduction of Z31 300zx T-Top Handle Finisher Sets (left/right plastic handle-surrounds). These will be as close to OEM as possible, albeit with ZSPEC's enhancements to strengthen the pieces. Group Buy price is $55/set or $100 for TWO sets (domestic shipping INCLUDED in the price). You will "Buy-In" to the event by making your purchase on the event link. After costing these out (for production of ALL five OEM-matched colors), we need to drive at least 75 sets for this pre-order to move the project forward. Please share this PUBLIC event to your friends, across forums, Facebook groups, etc. as you see fit. The sooner we get to 75...the sooner production can begin. We expect 3-4 month turn-around, so please be patient. ZSPEC works closely to prototype and test early mock-ups and this process takes TIME to get right. If you have any questions on our quality potential, see what we did with the Z32 handle-finishers. Most will agree they exceeded the quality and finish of the OEM aging pieces. We are striving to deliver the same level of product with this project. On 8/19/16 We here at XenonZcar Has Sent in good examples to get this project started so get your pre-orders in. Welcome to XenonZcar.com. Your home for all things having to do with the Datsun / Nissan Z Car. We have been decitated to providing you the most complete Z car information site on the web. Here you will find tons of articles about these great cars from 1970 till today. We have technical specifications, How To Articles, Factory Service Manuals, Owners Manuals, and web forum to talk about your cars. 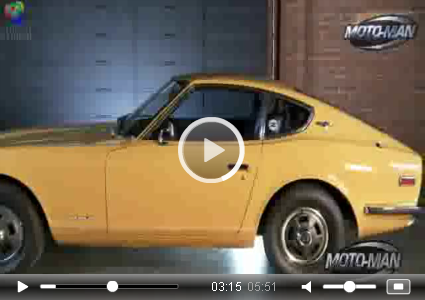 On 11/19/2010 MotoMan did an podcast about the History of the Datsun Z car Featuring two of the designers who put pen to paper and designed the Z car as we know it. The first one to show up is Randy Rodriguez, the designer of 370Z. He brings along the Yoshihiko Matsuo the designer of the 240Z.